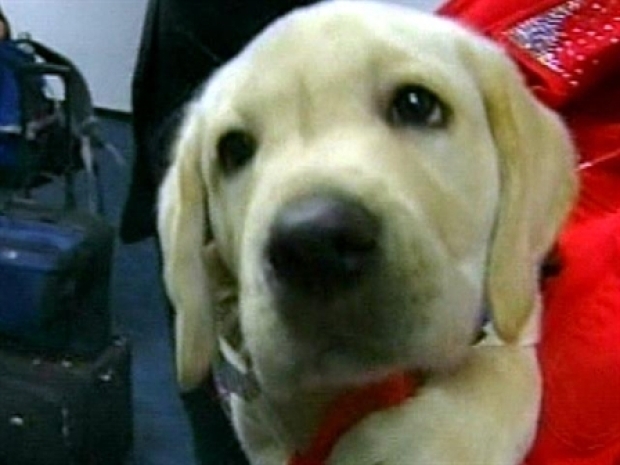 The now 10-week-old golden lab was created using the DNA from the family's deceased pet. A Florida couple pained by the death of their Labrador retriever has cloned the beloved family pet. The now 10-week-old golden lab was created using the DNA from the family's deceased pet in a South Korea laboratory by a California bio-tech firm and is the first single-birth, commercially cloned pup in the United States, the Miami Herald reported. The Otto family brought home the cuddly 17-pound, golden-haired pooch they named Lancelot Encore after the original dog, Sir Lancelot, on Monday. The cloning process cost Nina and Ed Otto -- whose father founded NASCAR -- a hefty $155,000. Florida couple pays $150K for first commercially cloned dog. "He looked just like my original Lancelot so I was thrilled," Nina Otto, 66, told the "Today" show on Wednesday. "The most interesting thing about this Lancelot is we noticed that he has bonded immediately within an hour with every other pet in the house." The Otto family also has half a dozen dogs, 10 cats, six sheep and four parrots.